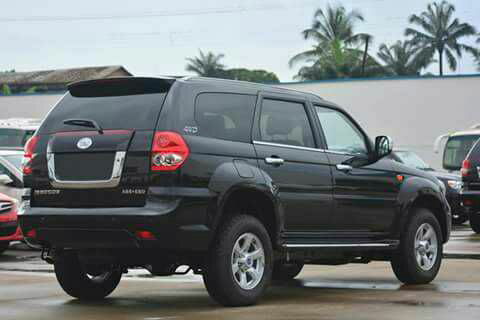 Innoson Motors, the first Made-in-Africa automobile manufacturing company has unveiled it's latest automobile - the 2016 IVM SUV G6. This is really amazing, coming from our own Nnewi, Anambra State. 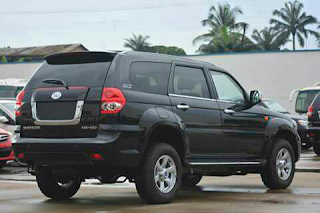 According to Innoson via their verified Facebook page, the IVM SUV G6 is durable and affordable and from its looks, can compete with other brands in the automobile industries. One big question is, will Nigerians patronise this made in Nigeria brand? since most Nigerians prefer anything "foreign" , what are our politicians and people in high places doing to ensure industries like Innoson are encouraged?... Would you go for this car if you are a Nigerian? A comment from one Fredrick Jahmen on the innoson facebook page reads " I don't know what the company is doing by just producing cars and advertising on facebook, innoson cars should be on every television channel and African channel for advert, showing the rigidity and performance of the car, the luxury it can offer at cheap rate compared to other western cars and the sky shall be your limit..."
The automobile industry is one that requires huge capital investment. As Nigerians, the only way to do our part to improve our countries economy is to support our own brand (provided it meets the acceptable standard) by using them and also by spreading the news across different social media platform. Keep the good work up, Innoson motors.